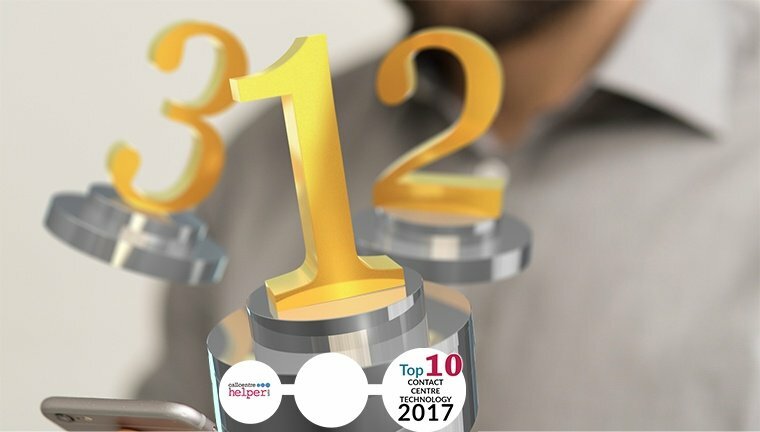 LONDON – May 25th, 2017 – injixo Workforce Management from InVision AG is again voted by Call Center Helper readers the Number 1 WFM platform and wins 2nd place in the prestigious Call Centre Helper Contact Centre Software and Technology Award for a second successive year. injixo pioneered cloud WFM for contact centres in 2011 and it is used by hundreds of contact centres worldwide. Darren Deehan of InVision says “We are absolutely thrilled to have won this award yet again and to have moved 2 places higher in the overall table. Getting value from WFM is not just about software. Our team of Customer Success Managers are focused on helping our customers to achieve their business objectives in customer experience, operational efficiency and employee engagement as quickly as possible after signup. We very much thank everyone who voted for us and also the organisers of the awards. We’re proud to be voted number 1 WFM platform by Call Center Helper readers”. Jonty Pearce, Editor of Call Centre Helper says, “These awards are voted on not by a panel of ‘experts’ but by real life contact centres that are using the technology. Over 1,040 votes were received during the voting process and the detailed comments clearly show what customers love about the technology. injixo WFM was particularly singled out for being flexible, having a great community and for its brilliant price”. injixo WFM is a premium cloud Workforce Management application for contact centers of all sizes. Designed by InVision AG, specialists in WFM for contact centres since 1995, injixo is a comprehensive suite of tools for forecasting, scheduling, real-time management, reporting and agent engagement. injixo helps you to improve the customer experience while at the same time lowering costs and reducing effort. All this for a low, pay-as-you-go price with no hidden extras and including a full onboarding programme. “When we first looked at injixo, we thought that there must be some sort of catch to it. The price seems too good to be true, and undercuts the market leaders, with much better functionality in most cases”. “I love the flexibility that this product gives us and the support from team and community is amazing. We get quick feedback always from people who are very knowledgeable”. “I would and have recommend this product to any WFM team that is out there”. “injixo is a great product and makes our work life easier and less stressful. It is user-friendly and I love the built-in tutorials that are available from agent-lever to Scheduler”. Watch this video to learn more about injixo, or go to www.injixo.com.